I’m sure every one of us have our preferred backpack or messenger bag that we use daily to bring our notebook or tablet around. I’m sure it looks great and stylish, is very comfortable and reflects your personality and tells the world who your are! Or maybe you use the bag you’re using just because. It’s the perfect bag! Or is it? Unfortunately, I’ve come to realise that there is simply no such thing as the perfect bag. To me, the perfect bag, be it the messenger or the backpack, should not only look great and embodies my personality. It should also be extremely functional and allow me to be well organised. Unfortunately, most bags are either stylish but lacking in function, or very functional but looks really ugly. Maybe I’m just too darn picky but that’s how I’ve found most of them to be. But recently, I’ve stumbled upon the Cocoon GRID-IT!™ Organizer. What’s great about the GRID-IT™ is that it can be used to enhance the functionality of your favourite bag. So obviously I picked it up for my Kenneth Cole messenger bag which was nice but utterly lacks in the ability to organize all the gadgets I pack in my bag. The Cocoon GRID-IT!™ organizer comes in many different size. The one I decided to get was the CPG20 model which is the larger 15.125″ x 9.625″ or 38.4cm x 24.4cm size which costs $24.99. 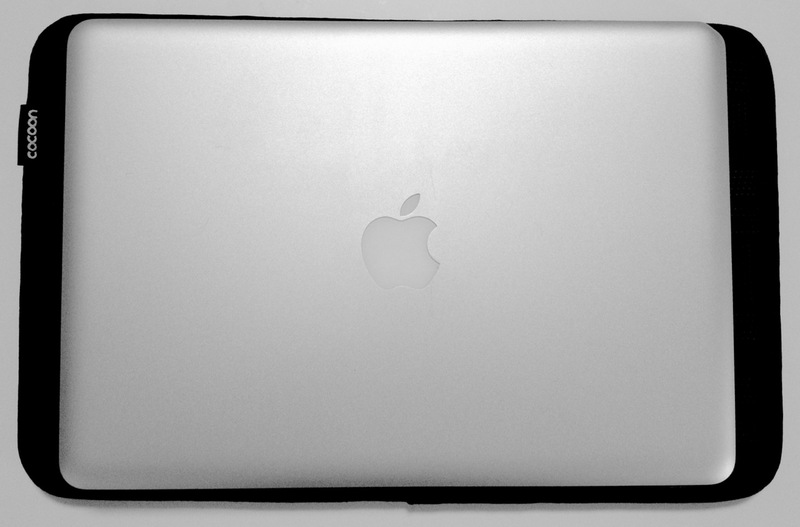 You can see how the CPG20 compares to my 13″ Unibody MacBook Pro. It should fit most bags that fit a 15″ notebook. Otherwise, just look for the smaller CPG10 is 12″ × 8″ or 30.5cm × 20.3cm. What’s interesting with the GRID-IT! system is that it is basically a board with a grid of elastic bands arranged in a seemingly random manner. This allows you to simply fit any items you’d want to organise, in any configuration that would suit your needs. And this is great because there simple is no one size-fit-all solution to organizing stuff in our bags. Well, I’m sure you won’t be bringing the exact same gadgets and accessories like I would in my bag, would you? 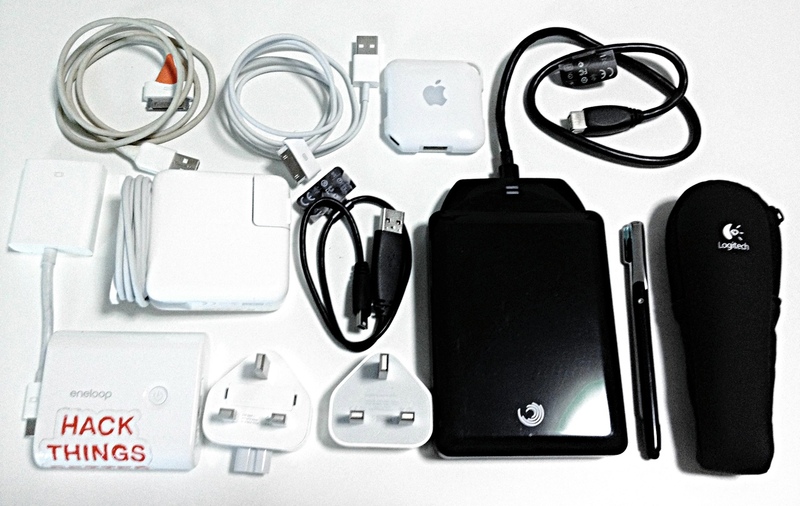 In my case, the photo below shows all the items that I’d stuff in my bag. So you can imagine how messy my bag would be without any proper organisation. Of course some of the stuff would be in some pockets available in the bag, but most of them would in be just dumped in main compartment in a big mess. Wires might end up tangled and it sure is no fun trying to find the items you want when you need it. How is it with the Cocoon GRID-IT!™ system? Take a look in the next photo below. Cocoon GRID-IT!™: Loaded with stuff! Now everything is so organized! The other advantage with using the Cocoon GRID-IT!™ Organizer is that it holds all your items firmly in a vertical position, thus nicely using up the overall space of the bag, resulting in a flatter and slimmer bag! Otherwise, everything just being accumulated at the bottom of the bag. In conclusion, I strongly recommend the Cocoon GRID-IT!™ Organizer to anyone who wishes have a better organised bag, a must-have in my bag! It allows you to use any bag you like aesthetically and yet still be able to be very organised inside the bag. Plus, it makes a perfect gift to your loved ones or family too! And no, I was not sponsored to review the Cocoon GRID-IT™ Organizer. I bought one myself and found it so useful that I just had to share out my experience using it! But you can purchase one yourself too.